Our center is located in a unique downtown building. 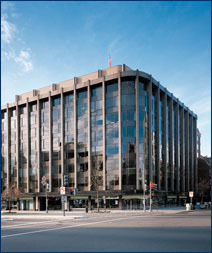 1250 Connecticut Avenue is a freestanding building with windows on all four sides. Built in 1964 and renovated in 1996, the building offers restaurants, retail stores, and underground parking. In close proximity to the Dupont and Farragut Metro stations.